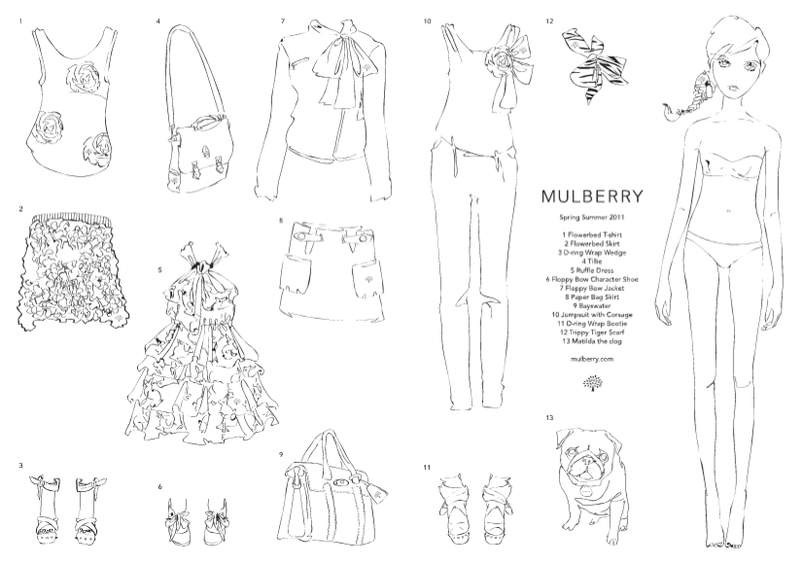 For London Fashion week, Mulberry went with a floral theme with dozens of giant neon roses decorating the space, alongside a life-size paper dolls; the jumbo version of their paper doll invitation. 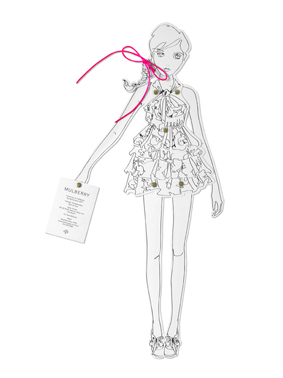 I love the drawings by Natasha Law and the awesome glowbright pink they used to make the invitations! 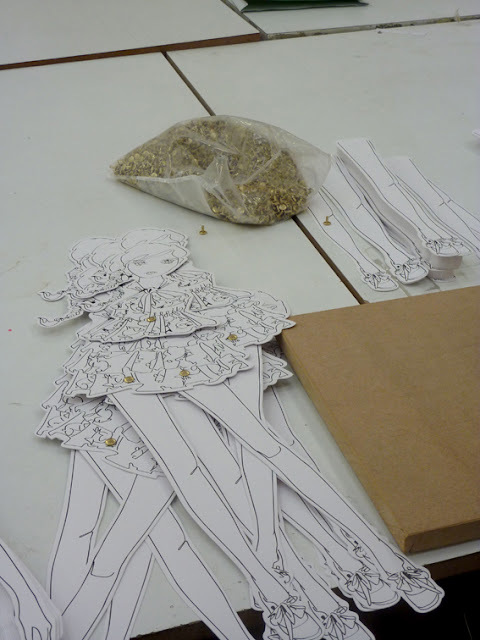 You can dress up and print the paper doll over at Guardian.